We realised during the past year, that our clients would benefit from being able to read their scripts directly to the camera. In April we took delivery of a teleprompter, which allows you to do just that. On April 4th the retention team at Norwich union became the first to try out the new system. Besides a few early teething problems the system worked brilliantly and everyone agreed how easy it was to work with. Jason McCartney a freelance TV presenter on the day, commented how much quicker it was being able to use the autocue. 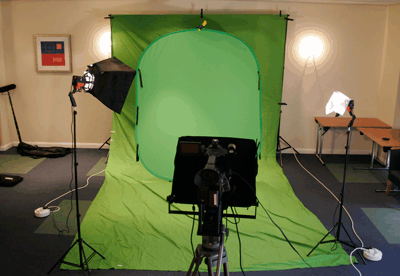 Give us a call if you would like further info on how it could aid you video production.